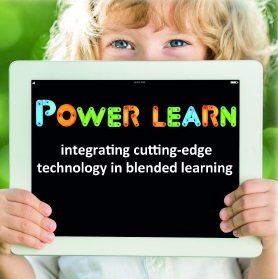 AXON Power Learn is a unique, flexible, blended learning system, where learners are closely supported and encouraged. Its adaptive mixture of learning modes and approaches enables everyone to succeed, regardless of his learning preferences and previous experience with the language. Our blended learning method combines live instruction, with advanced educational tools and e-learning, so that the student can exercise all four language skills, namely speaking, reading, listening and writing. Our goal is to provide our students with a complete blended learning experience, using the Internet, multimedia resources and advanced educational tools in order to deliver our unique English language programmes. It has been created to cover all levels, from beginner to advanced. Extra learning materials for various levels are also available. ΑΧΟΝ Power Learn course levels and placement tests are aligned to the official Common European Framework of Reference for Languages (CEFR), which is the most widely used and recognized language proficiency scale in the world. AXON Power Learn is a complete English language training solution, comprising a placement test, self-paced online study, midterm and final tests, active coaching, live communication skills training, all based on the CEFR proficiency scale. The CEFR is made of six precisely defined competence levels ranging from basic user to near native speaker level. Using the CEFR proficiency scale, assessments are easily interpreted to determine language qualifications. The Axon Power Learn blended learning system, combines live instruction either in-class, via teleconference or virtual classes with engaging online material. Our blended learning solution is fully adaptable to the individual needs of each student, thus providing a tailor-made learning experience. in-depth revision of vocabulary, grammar, etc. The use of the AXON Power Learn System in the class takes learning beyond conventional methods. With our innovative software, teaching can be done entirely with tablets instead of books. Students are able to access their online course book, collaborate, and become creative and motivated. Thus, they can greatly enjoy all aspects of Power Learn. Teachers, on the other hand, can access the online teacher’s book, receive instant feedback on students’ performance and eliminate the time needed for homework correction. 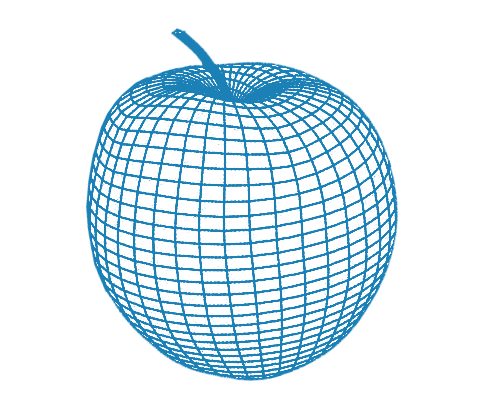 AXON GLOBAL offers a learning method that guarantees the completion of each course successfully. The AXON GLOBAL method ensures a steady way of progressing, covering every aspect of language learning and consolidating all acquired knowledge. Hence, all learning levels are covered in full and the student acquires the language naturally without gaps. So passing from one level to the next comes naturally to all AXON students. All new AXON students that have some previous knowledge of the language will start with an initial placement test level that will assess their level of comprehension, writing and use of language skills and guide them directly to the appropriate level. The AXON GLOBAL programme is divided into levels and each level is composed of one or two courses depending on the case, following the Common European Framework of Reference for Languages (CEFR). The CEFR describes language ability on a scale of levels from A1 for beginners up to C2 for those who have mastered a language. This makes it easy for anyone to see the different levels of knowledge. It also means that employers and educational institutions can easily recognise language competence and qualifications and see how they relate to exams they already know in their own country. The scheme proposed in the CEFR and adopted in the AXON GLOBAL curriculum divides students into three broad levels: Basic User: A1 and A2, Independent User: B1 and B2, Proficient User: C1 and C2. Language learning knows no bounds! Learning a foreign language is by no means limited to young learners. Nowadays any professional should possess the knowledge of at least the English language in order to have a successful career. With teaching material and methodology in English specifically designed for the needs of adult learners, AXON offers General, Business and Communication English courses. Groups start all year round and they consist of students of same level and age, focusing on personalized teaching. 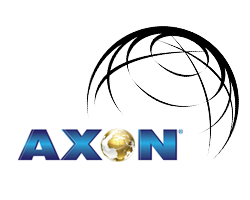 All AXON teachers are university degree holders with experience in teaching adults. They are trained by the AXON Teacher training centre, through webinars and teleconference and are guided into using the most up to date pedagogical methods. Use of multimedia, interactive material, video viewing & videotaping sessions and continuous assessment combined with our supplementary educational material specifically designed for adult learners and e-learning. An electronic version of teaching material that allows the AXON student to be actively involved in the teaching process in the classroom. On line teaching material that allows self studying and blended learning that maximizes the effectiveness of the AXON teaching method. On-line Mid term and Final Tests with the AXON test card, on our platform, that allow accurate assessment of the student’s progress at various stages of the teaching process. Blended preparation programmes for the globally recognized IELTS and TOEFL certificates. Who takes the IELTS Test? Happy Kids & Happy Teens! Childhood is the easiest time to learn a foreign language. Children naturally immerse themselves in the new language. Our globally innovative blended learning programmes and curriculum are specifically designed for children who start learning English at a very early age (from 6 years old) and young learners. Our very young and young learners go through a complete blended learning experience and learn a foreign language while having fun. AXON offers several options for a child to learn English. All are taught by highly trained, native or fluent speakers who are experienced with and enjoy teaching children. Programmes group children of similar ages, who learn while playing and participating in other activities. Groups consist of students of same level focusing on personalized teaching. All academic personnel are trained by the AXON Teacher training centre, through webinars and teleconference and are guided into using the most up to date pedagogical methods. There is constant monitoring and continuous updating of our programme to incorporate all the developments in the Pedagogical field and in particular in Teaching English as a Foreign Language. Our courses include use of multimedia, interactive material, video viewing & videotaping sessions and continuous assessment combined with our supplementary educational material and e-learning programme. Where learning meets fun! ‘Inglish’ is an AXON innovation designed specifically for our very young and young learners as a supplementary educational tool. It is an experiential way to learn English with the use of authentic material (film extracts, songs, sportscasting, etc) in order to improve communicative skills and also to entertain. The professional assistant in English! Axon@home is another AXON innovation. It’s an electronic device synchronized with our books that helps learners to have a unique learning experience at their home where they can review and consolidate material they were taught at their own pace. AXON Global in cooperation with the University of Central Lancashire Cyprus (UCLan Cyprus), organizes English summer courses at the UCLAN Cyprus Campus, for kids aged 8 years and above, teenagers and adults for all English language levels, business English and preparation for globally recognized certificates. AXON offers specialized blended learning solutions for businesses who want their employees to learn English in accordance with the Common European Framework of Reference for Languages (CEFR). As every individual is unique we can develop a programme that best fits your needs. Your employees can start their training whenever it best fits your schedule, when you are ready, whenever it is more convenient to you. Since training your employees is a serious investment, you should have the ability to check your return on investment. That is why every month we provide you with a report that shows each employee’s progress and performance. We assure you that our constant guidance and support to your employees will bring you the expected results. All the programmes we offer aim to enhance your employees’ abilities and skills. Therefore every programme is adapted to your needs and goals. We provide you with a unique password which provides you with access to our AXON Power Learn administration platform. There you can check each employee’s progress, attendance and performance. In order to determine the programme that best fits your needs, we check your employees’ current level of knowledge, based on an placement test, free of cost. As mixed ability groups are less effective, our groups consist of employees of same level and of the same company, in order to ensure the education is adapted to their exact needs and is neither too advanced nor too slow. With our placement test, which examines grammar, vocabulary, listening and reading, we can understand each employee’s educational needs and we work with you to set the goal for each participant and establish the right course programme. The AXON courses and curriculum have been formally approved by the UK Awarding Organisation NOCN. The AXON English courses are accurately aligned to the English language levels of the Common European Framework of Reference for Languages (CEFR). AXON guarantees the efficiency of its educational system and provided students follow the AXON study method and agreed study plan, we guarantee their English language learning success.